I just love the joy in this Fortnum & Mason and Rory Dobner exclusive homewares collection. It's time to serve tea for one in this exquisite Fine Bone China teapot. 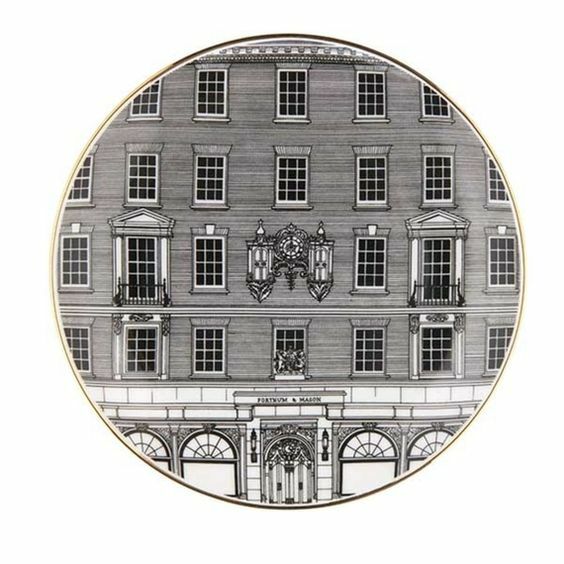 Hand decorated with 22 carat gold, this beautiful piece displays Rory's exclusive Intricate Ink Illustration of the facade of our Piccadilly home. 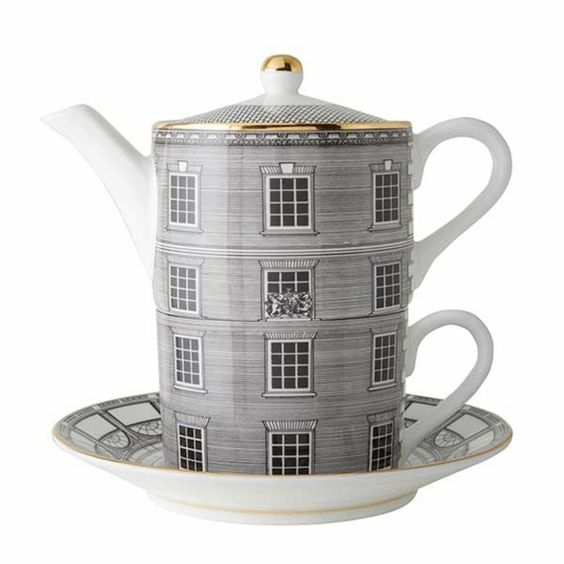 Made from fine bone china, this elegant teapot is decorated with an original ink drawing of Fortnum’s famous façade. Finished with hand-painted detail in 22-carat gold, this is an original and highly collectible piece. 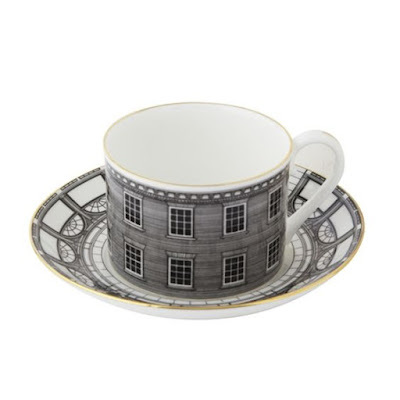 This elegant cup and saucer are decorated with an original ink drawing of Fortnum’s famous façade by British illustrator Rory Dobner. Exclusive to Fortnum’s, the cup and saucer are crafted in England from finest bone china, finished in hand-painted detail with 22 carat gold - the perfect vessel for a cup of Fortnum's tea. 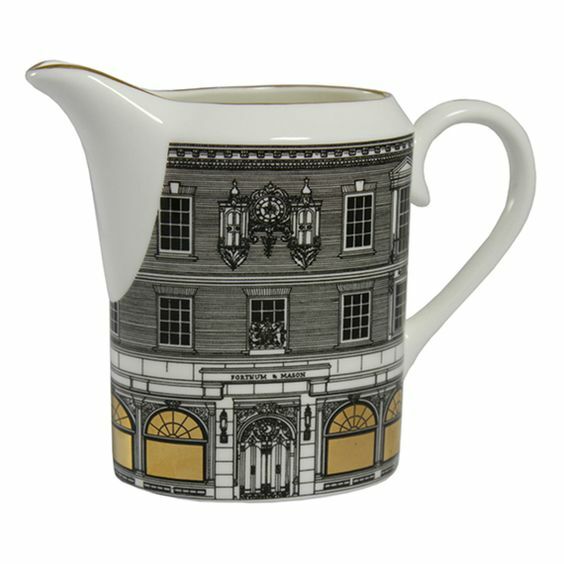 Made in England from fine bone china, this milk jug is decorated with an ink drawing of Fortnum’s famous façade by illustrator Rory Dobner. Finished in hand-painted detail with 22 carat gold, this exclusive milk jug is an original and highly collectible piece, and will complete your Rory Dobner tea set. This bone china plate is decorated with an original ink drawing that artist Rory Dobner made of Fortnum’s iconic façade. 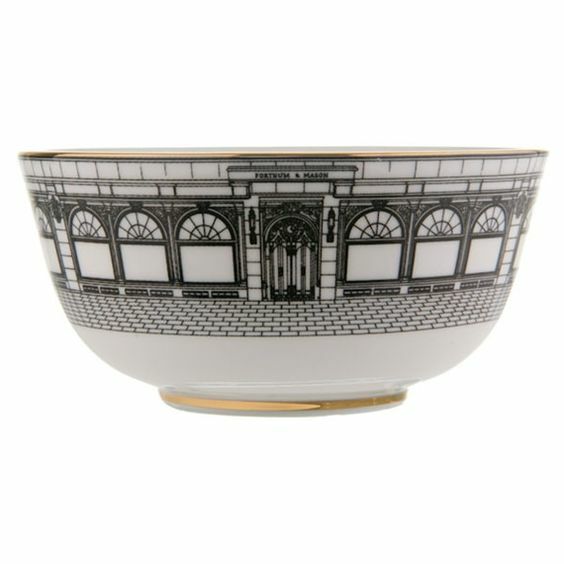 Finished with hand-painted, 22-carat gold details, it is simple, yet intricately detailed. 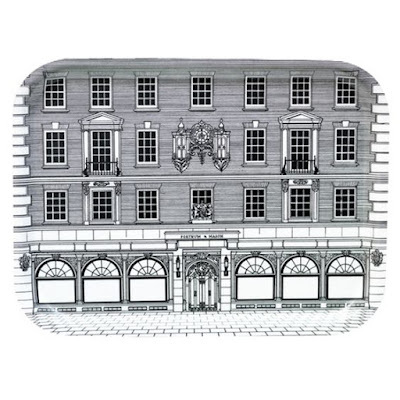 Decorated with an original ink drawing of Fortnum’s famous façade, this elegant tea tray will prove endlessly useful. This unusual bowl is decorated with an original ink drawing of Fortnum's iconic façade. 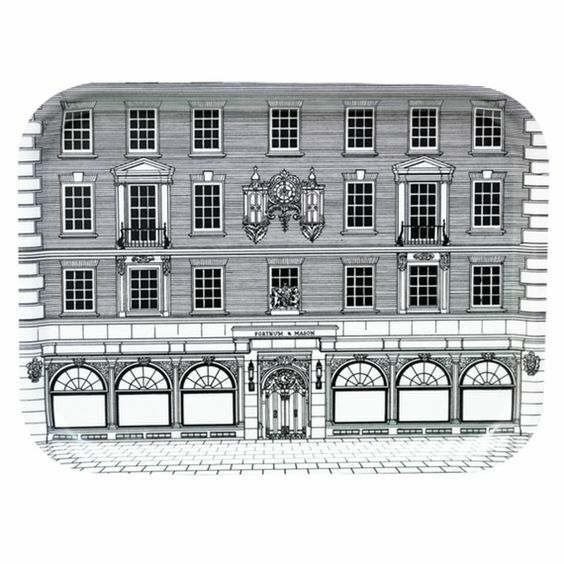 Part of the new Rory Dobner range created exclusively for Fortnum’s, this will be an original gift. 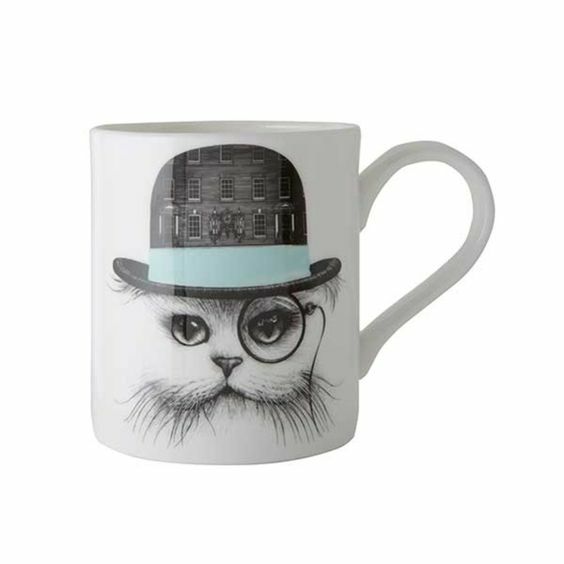 This unusual mug features an original ink drawing of Fortnum’s historic building, imposed on the hat of a monocled cat in jet black and eau de nil. 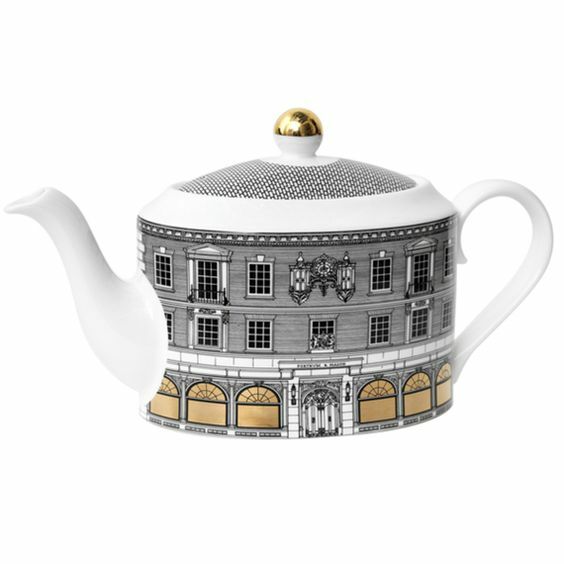 This unique and collectable item was made especially for Fortnum's by British designer Rory Dobner.